Perhaps the company’s location gives it away, but CURED thrives in the great outdoors. Sure, the thick forests of trees and mountainous horizons make it nearly impossible to stay inside; but as it turns out, there’s even more to this affinity for greenery. As human beings, we are neurologically wired to need to feel a sense of connection to our natural world. What do I mean when I say natural? I mean everything in the field of vision as soon as the CURED team members stroll through their Boulder-based farm: boundless foliage and vegetation, and a clear step away from the day-to-day city urbanization. Though if helpful, research reviews have generated a more intellectual definition: “areas containing elements of living systems that include plants and nonhuman animals across a range of scales and degrees of human management.” With this, rest assured that a neighborhood park will suffice if the Rockies are a bit out of the way. 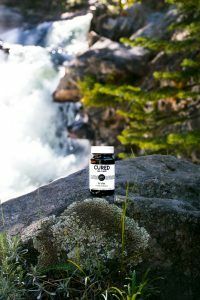 With their expanding line of organic, cannabidiol-laced products, CURED Nutrition’s mission is to invite the world into a collective space of heart and healing with a set of entirely tangible tools: spices, capsules, and the popularized oils. Each of the team members acknowledges the importance of stress reduction in making this hope a possible reality; so, it comes as no surprise that the company aligns its philosophy with one psychological framework in particular. The framework is that of the Stress Reduction Theory (SRT), one of two widely recognized explanatory models, which suggests that the genuine therapeutic influence of nature lies in an “unconscious, autonomic response to natural elements” that’s triggered without cognizant awareness. In other words, the aftereffects of feeling a few thousands of blades of grass gently slide between your toes during a barefoot morning stroll are instinctual. This can be held with both an evolutionary and deeply spiritual perspective. Without diving too deep into the plane of Colorado hippy-centric thought, human beings came from the earth and are of the earth. As so, there’s an undeniable effect of aligning oneself with [his/her/their] place of origin. 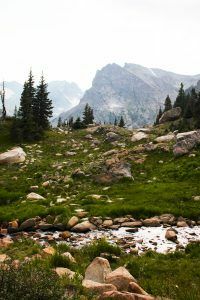 In more clinical matters, the results following time spent in (or simply looking at pictures of) wilderness have repeatedly proven to be profound when studied. When individuals observed a slideshow of colored nature scenes, their self-reported ratings of positive mood were markedly greater, while negative emotions showed a significantly diminished intensity. When these individuals were shown slides of a cityscape – which is sadly the norm for much of the U.S. population – the opposite effects were seen. Anxiety actually peaked, which is a scary truth considering the already alarming prevalence of its symptomatology in today’s culture. Mother Nature And Mental Health. According to a 2014 study, 18.1% of the U.S. population self-reported suffering with a mental illness resulting in mild to severe impairment. To put this into perspective, that percentage equates to roughly 43.6 million people. Yes, million. These statistics are, of course, alarming and shine a light on an urgent need for mainstream discussions regarding mental health, treatment options, and equitable access to care. With this being said, there’s a clear barrier in today’s society when considering wholistic (and holistic) approaches for remedying and resolving mental illness and emotional distress. While CURED Nutrition has made its mark in the realm of physical wellness and sports performance, mental health is yet another sphere the company intends to continue tapping into. 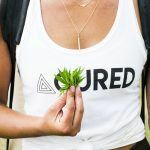 The CURED cannabidiol products currently available for consumers – as well as those novel additions awaiting their upcoming release – have been designed to offer this world an open invitation into integrative and alternative medicine. One important piece to this method of healing, as you now see, is quality time spent outdoors. In fact, the greener the better! 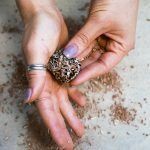 Mental health practitioners are even employing methods known as Nature Assisted Therapy (NAT), which have been contributing to incredibly positive outcomes. Short-term recovery from stress and mental fatigue, improved focus, recovery from illness, long-term behavioral changes (increased sociability and decreased aggression, explicitly), and overall improvement in mood and wellbeing are a few examples of frequently replicated effects. With models specifically pertaining to depression, anxiety, and post-traumatic stress disorder, nature-based recreation was shown to improve self-esteem, emotional control, positive affect, and effective coping. Several popular approaches within NAT include outdoor meditation, horticulture, and animal-assisted therapy. One major perk is undoubtedly the fact that anyone can take part in these activities, whether that be in a therapist’s company or on one’s own. Clear Hearts and Clearer Minds. Whether you’re joining the CURED team in their weekly hiking escapades, wandering through sea shell-covered coastlines, or simply riding your bike through a park down the street from your apartment, it won’t be long before you begin noticing the boost in your own mental health and emotional energy. Happiness is waiting as long as you keep a few things in mind: pick an environment that’s easily accessible and beautifully biodiverse. 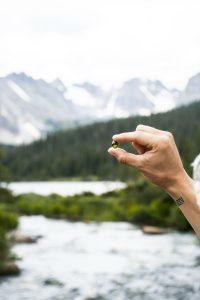 Schedule blocks of time throughout your day specifically reserved for nature breaks. A few sips of fresh air will interrupt the ceaseless mental bustle and exhausting stream of anxious thought, gifting you with a renewed sense of clarity moving forward. For the best effects, don’t forget your bottle of CURED Gel Caps! When you’re in need of additional stress support and comprehensive (whole-body) calming, this company has you covered.